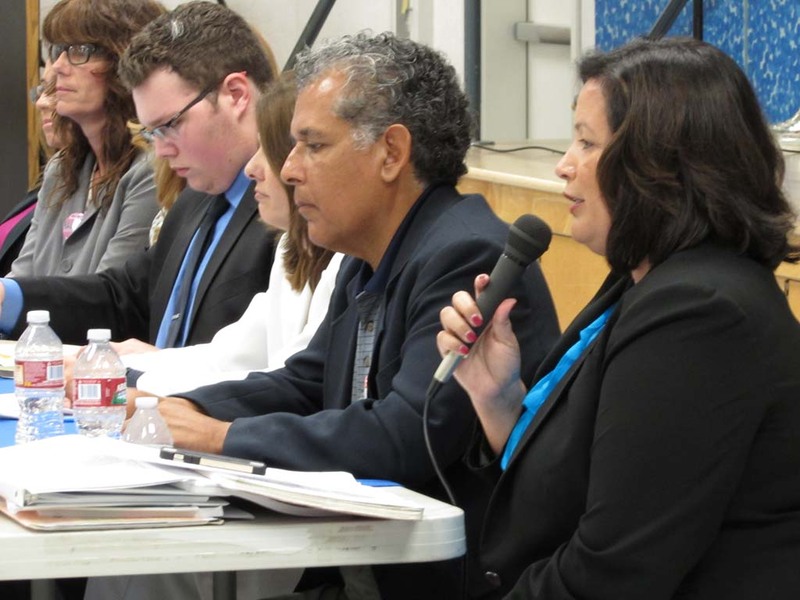 CARLSBAD—The League of Women Voters hosted a forum for the Carlsbad Unified School District Board of Trustees candidates Oct. 2. Six candidates are vying to fill three four-year terms, and two candidates are vying for a two-year term. The candidates answered questions from the audience of about 80, including the move to Common Core Standards, class sizes and the budget. About 70 people attended the forum Thursday night. Almost all of the candidates agreed that the school district’s reserve fund shouldn’t be restricted to the state mandated 3 percent. Kathy Rallings, teacher consultant, said a 5 to 6 percent reserve is appropriate and she believes there should be a cap on the amount the district can set aside because tax payer’s dollars should be used in the classroom. The only candidate running for the two-year term that attended the forum, Jenae Torgersen, library technician, agreed with Rallings that 3 percent was not enough and the district should consider at least a 5 to 6 percent reserve. Gil Soto, realtor, disagreed about having a cap on reserves because he saw a teacher of the year get handed a pink slip due to budget cuts. Claudine Jones, who is currently serving as the board’s clerk, said a larger reserve than the state mandate is prudent. “A 3 percent reserve represents about a week of payroll,” said Jones. Board Vice President Veronica Williams also agreed that 3 percent is not enough. Maria Rosino-Maracco, a local business owner, said that the state mandate may be OK for the district but there are bigger problems in California and she would need to speak with experts to find out the best amount of reserves to be set aside. The candidates also discussed the move to Common Core State Standards, which were adopted by California in August 2010. Most of the candidates agreed that the Common Core curriculum is helpful because it teaches students to be critical thinkers and prepares them for college. Torgersen has a problem with the math in Common Core because she worries that children who have “math brains” may feel inadequate when forced to write about math if they struggle with writing. Naumann disagreed with the move to Common Core because he doesn’t believe the federal government should get involved with local schools and he doesn’t believe the Common Core testing is good for children. “It’s making kids sick. It’s driving them insane, because third graders can’t be put in front of a computer for six hours to take a test,” Naumann said. The other candidate looking to serve a two-year term, Businessman Ray Pearson, was unable to attend the forum because of a pre-planned trip. 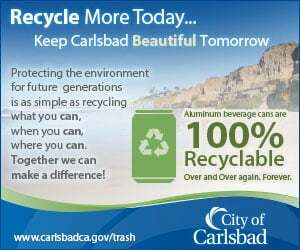 He cited his involvement in the Carlsbad Charitable Foundation, Rotary Club of Carlsbad, North Coastal Prevention Coalition and City of Carlsbad Senior Commission as his qualifications. Every candidate supported smaller class sizes. Rallings said the district should be taking a more aggressive approach towards minimizing class sizes. Naumann and Torgersen agreed that the district’s mission statement is great but it’s difficult to actually fulfill it and results are more important than words. The elections for school board take place Nov. 4.